Summer is fast approaching, and many holidaymakers are flocking to the coast of France. But besides these bustling coastlines, France has many azure lakes, fresh springs and flowing waterfalls, absolutely perfect for not only a refreshing summer break, but they’re also more than ideal if you wish to try your hand at wild swimming in France. There’s just so many different regions and varieties of climate, meaning that for all the fans of open water swimming, France is really going to make you spoilt for choice, and to top it all off we have deals for some of the best holiday parks near these wild swimming spots! But before we get to the exciting details of wild swimming holidays, we need to talk about open water swimming safety first! 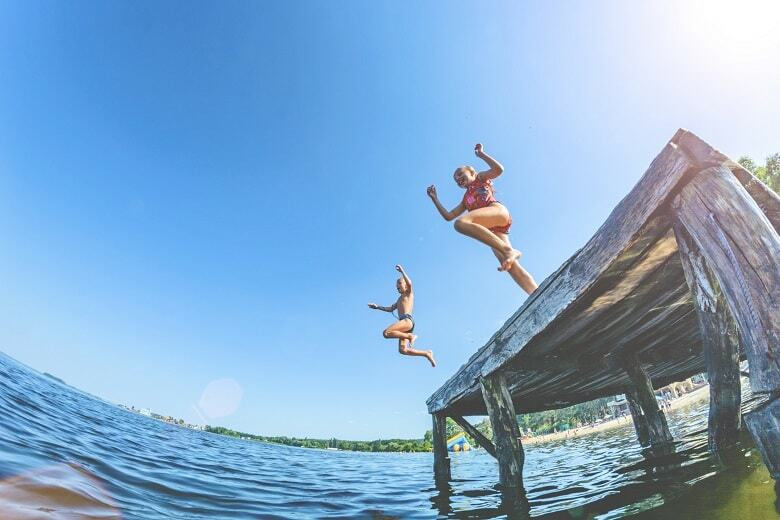 We can hear you, you’re sitting at home asking yourself, “but really… is it safe to swim in lakes?”, and the answer to that question is “yes, of course, it is!” But it goes without saying that there’s several safety precautions that you need to be aware of – so here’s a few open water swimming tips for beginners that we’ve compiled to make sure that you know exactly what you’re doing! Plan ahead – Whilst it may be fun to be spontaneous, this also increases the risk of something bad happening as you most likely won’t be familiar with the area in which you’re swimming, so do your research before you go! 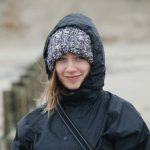 Luckily for you, there’s a crowdfunded open water swimming locations map over at wildswim.com, and people regularly comment with any issues that they find with the places they swim – it’s the perfect resource! Swim with somebody else – There’s safety in numbers, and this couldn’t be truer when it comes to wild swimming. If you need help and you’re in the middle of a lake, it’s better to have someone with you who can provide that help! Watch out for vehicles and animals – You may not be the only person enjoying the water! Always make sure you’re aware of your surroundings – the last thing you want to happen is to be hit by a boat. Also, you should try to not disturb any wildlife that may be in the area – it’s their water as much as it is yours! For a more comprehensive list, the Outdoor Swimming Society has provided a handy, catch-all guide to staying safe when open water swimming. Now – onto the most awe-inspiring blue water lakes France has to offer! Whilst it may be known the world over for its lavender fields, old towns and vineyard visits, the turquoise lakes of Provence are also ideal for refreshing afternoon dips in the heat of the summer, in front of some of the most incredible scenery that France has to offer. 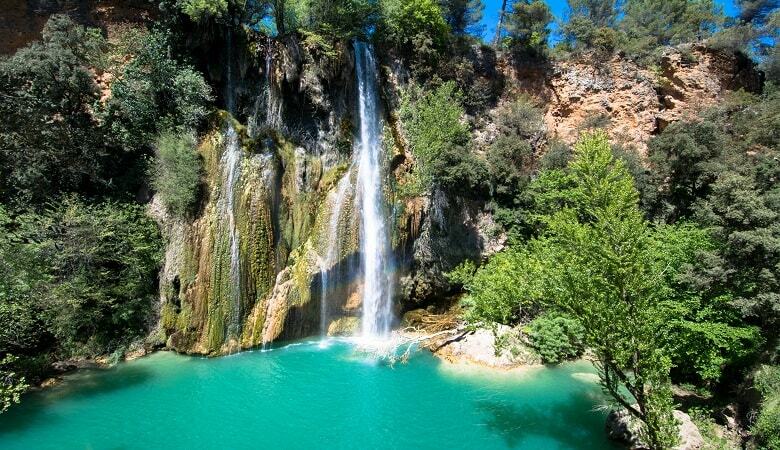 Sillans-la-Cascade is the pearl of Provence’s waterfalls. Just 50km from the glamorous resort of St-Tropez, boasting milky-blue pools of water and dramatic falls, this waterfall is surrounded by luscious green foliage. Whilst it’s actually not advised to swim in the Sillans-la-Cascade, despite many of the locals doing so anyway, you can find another pool further down which is safer. Still, the waterfall is the perfect place to visit for a picnic, a nice walk, and an amazing open water swim. The stunning lake of Saint Croix is situated in the Verdon Gorge, the most beautiful river canyon in Europe. Scattered with Lavender fields and the classic smell of Provence, the gorge is over a thousand years old and no less than 25km long. The gorgeous turquoise lake is at the centre of the Verdon Natural Regional Park and is surrounded by the villages of Sainte-Croix-du-Verdon, Bauduen and Les Salles-sur-Verdon. If you need somewhere to stay in the area, then we’d recommend the luxurious Villa’s du Verdon as it makes the perfect base for exploring Europe’s most beautiful river canyon. 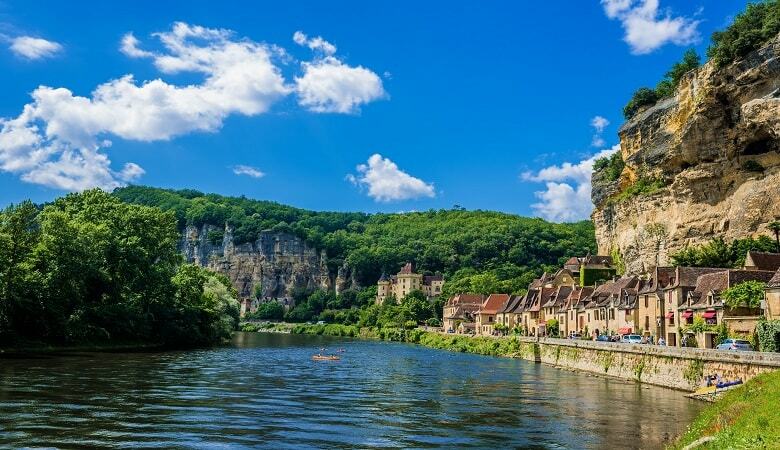 The Dordogne Valley is characterised by meandering river banks, green meadows and hilltops punctuated by beautiful castles. But is it safe to swim in rivers? Well if you can swim in a lake, why couldn’t you swim in the Dordogne River! It’s definitely an activity for holidaymakers who love a bit of an adventure. This part of the Dordogne is where the river is at its most wild and wonderful. It can be quite difficult to access, but once you arrive, you’ll be met with sheer beauty. Enjoy the view above of the high cliffs and the beautiful blue skies. Directly beneath a chateau, Lacave is a clear-turquoise pool in a luscious green area of the Dordogne Valley. Downstream, you can enjoy the rapids of the river and even go tubing. FranceComfort Lac Le Bleu is nearby and excellent for a relaxing and luxurious family holiday, and it even has a lake of its own – perfect for those who want true wild swimming holidays! Brittany is perfect for family-friendly swimming holidays. Of course, the coast offers plenty of long stretches of sand for family fun, but for those who want to explore a little further inland, there are plenty of blue water lakes. Lac du Drennec is situated near Commana and is perfect for families who want to combine hiking and swimming. Deep in the forests of Brittany, the reservoir has a clearly marked 7km circular hike with two white sand beaches with picnic areas, outdoor tables tennis and children’s playgrounds. Dogs are also allowed to swim everywhere on the lake except for the two sand beaches. If you’re looking for somewhere to stay, there’s a large variety of holiday parks nearby. Lac de Guerlédan is the biggest artificial lake in Brittany, and perfect for long hikes and relaxing afternoons. 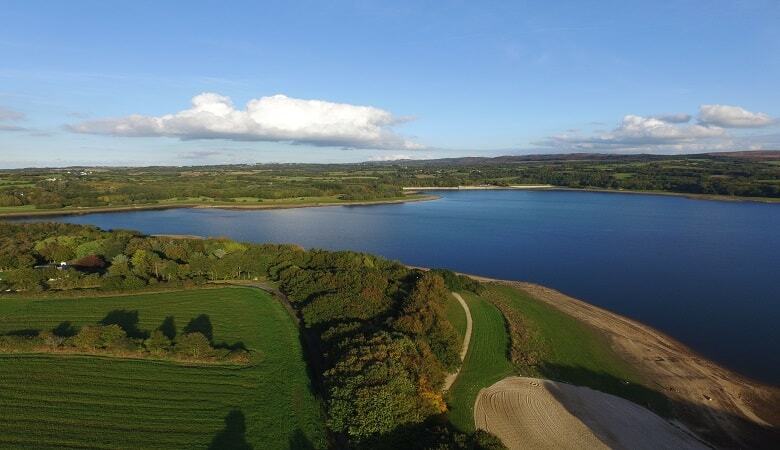 Situated deep in the Argoat forest, this lake is the perfect family-friendly break, with plenty to do in the area, whether that’s fishing, canoeing, or cycling. It’s without a doubt one of the best swimming lakes in France, and definitely worth a visit for anyone staying in the area! Ready to Start Wild Swimming in France? Then head over to our website! At HolidayparkSpecials.co.uk we have over 75 French parks for you to choose from, spread across the whole country – wild swimming in France could not be easier and cheaper! Did we miss any of your favourite wild swimming spots? Let us know in the comments below!